After a strenuous semester of fall-ball, the BU Women’s Lacrosse team, ranked no. 15, is off to another fabulous start.They’re looking stronger than ever in their first few games of the season, currently maintaining an impressive record of 6-2. The huskies have quite a streak going with their five consecutive wins over Grand Valley State, West Chester, Shippensburg, Gannon, and their most recent victory, Kutztown. Two years ago, in the 2012 season, the girls were the PSAC champions and with the way this season is going so far, the team could be making their way to the championship games once again. This marks the second season the huskies will be coached by Mallory Poole. Last season, Poole helped lead them to the PSAC playoff games, but unfortunately the girls lost in the semifinals to Lock Haven. With 11 new additions to the team this year, things are looking up for the huskies to hopefully keep their streak going and make it to the PSAC games to regain their name as champions. Morgan Sherriff, junior, at the Kutztown game. 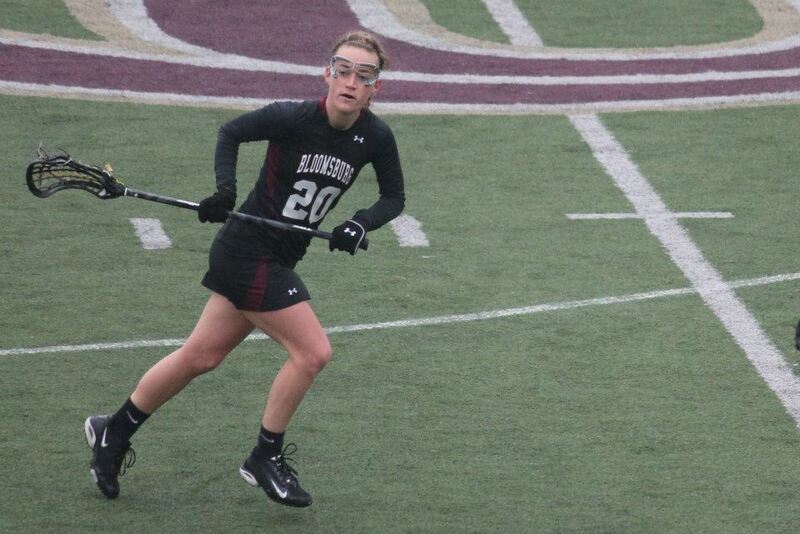 Key players to keep an eye on as the season continues are freshman, Brigid Kyne, who just last week was named PSAC Lacrosse Player of the week. 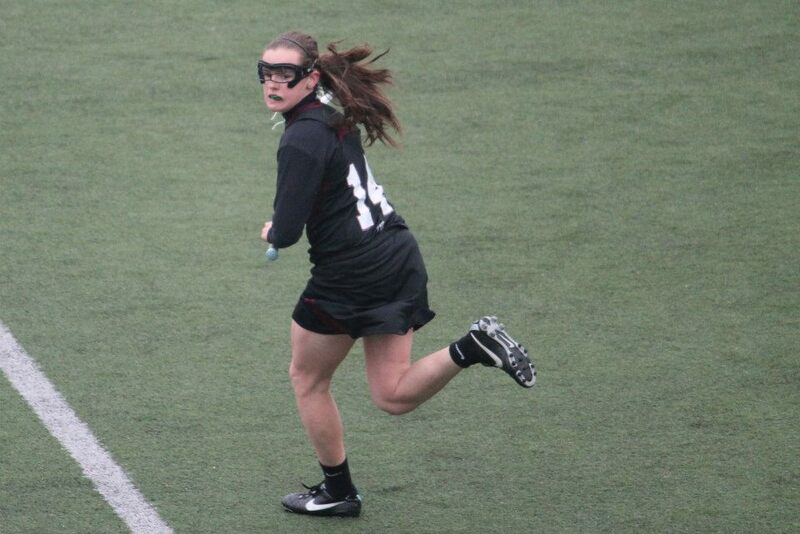 She scored six goals and had one assist in the game against West Chester. Also, junior Marisa Moley, who made her career-high of 8 points at the game against Gannon on Friday. Brigid Kyne, freshman, going for the goal! Cheer on the Huskies this Saturday, April 5th, at Slippery Rock at 1 p.m. or keep up with the live game via the university’s Twitter handle, @BUSportsInfo or the team’s own Twitter handle @husky_lacrosse. Previous articleDo You Feel Safe At Night In Bloom? Is a Four Peat on the Horizon for BU Field Hockey?